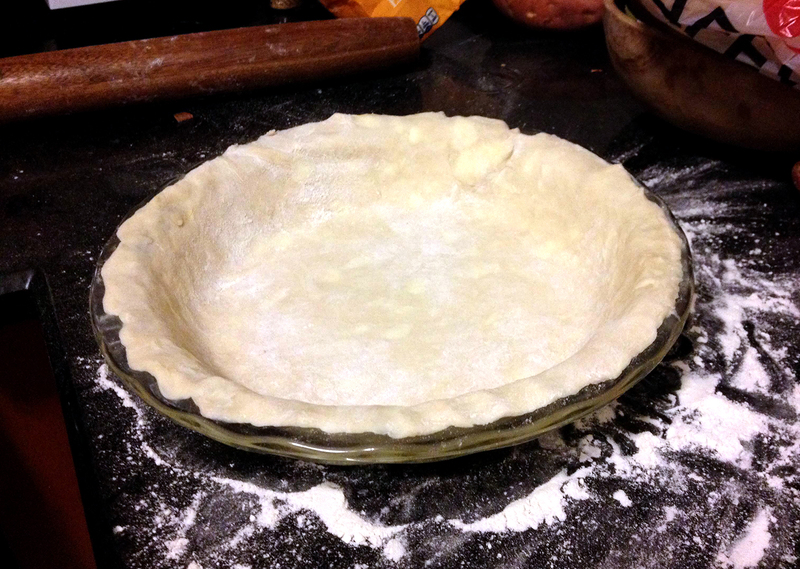 In a large bowl combine flour, sugar, salt and baking powder. With a pastry blender cut in butter, leaving chunks the size of peas. Combine ice water with sour cream and vinegar. Add liquid all at once to flour mixture. Quickly stir to distribute, but do not overmix. Dough should be a little crumbly. Let dough rest in refrigerator 2 hours or overnight. Finished dough should break, not stretch. Divide into 3 portions, shape into disks. Use immediately, refrigerate up to 3 days, or freeze up to 1 month (thaw overnight in fridge if frozen.) Makes 3 single-crust pastries.